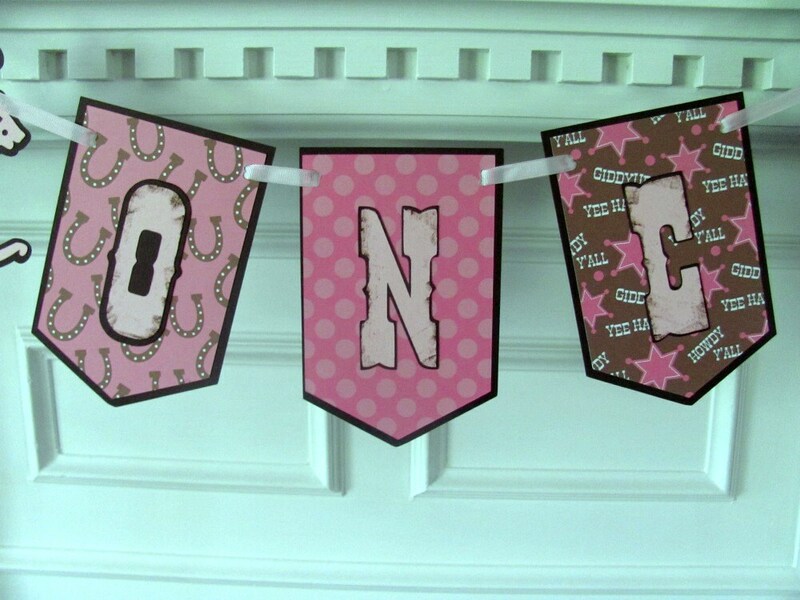 Cowgirl high chair banner for that very special 1st birthday. Pretty pink and brown cowgirl themed paper with heavy weight brown cardstock with letters done in brown and pink and shaded for a shabby chic look. 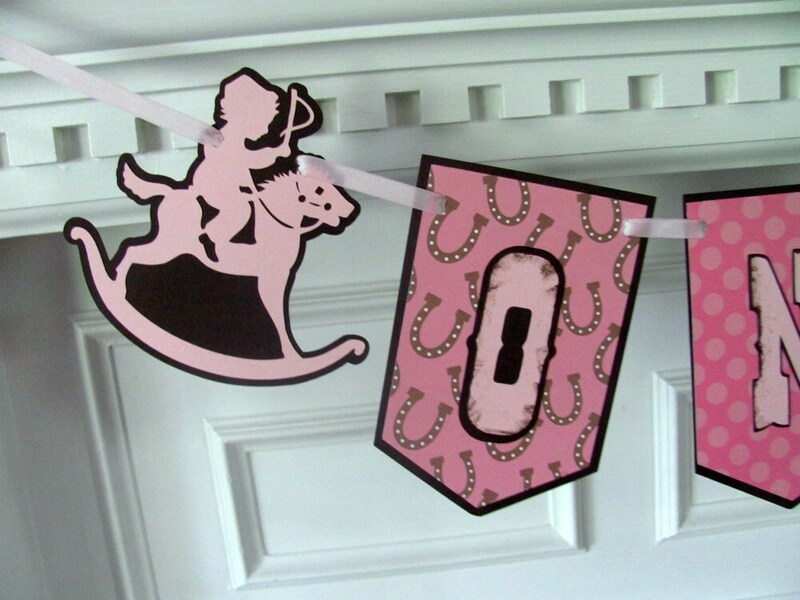 Banner panels measure 41/2' wide and banner is anchored with a child on a rocking horse. Please allow 10-14 days for order processing. All orders are shipped via priority mail.